(Clearwisdom.net) In May 2004, the "610 Office" in Tianhe, a district of Guangzhou City, abducted two Falun Dafa practitioners named Chen Chunli and Gao Dandi. The apartment that they rented in Dongpu Tianhong Garden of the Tianhe district in Guangzhou City was searched. The police confiscated their computer, laptop, cash and other property. Chen Chunli was sent to the Tianhe Brainwashing Class in Guangzhou City. In July 2004, she was transferred to the Tianhe Detention Center in Guangzhou City. Another Dafa practitioner named Gao Xianmin was persecuted to death in this detention center in 1999. It was said that Chen Chunli was arrested and sent to the procurator for trial. In May 2004, Gao Dandi was illegally sent to the so-called Chatou Legal System School, which is actually a brainwashing class in Guanzhou City. He has been steadfast and refused to cooperate or be transformed. In June 2004, he escaped from the brainwashing class with righteous thoughts. The relatives and friends of Chen Chunli and Gao Dandi were also threatened. Because nobody knew Chen Chunli's situation, Gao Dandi came back to Guanzhou and hoped to rescue Chen Chunli. However the "610 Office" didn't leave him alone. 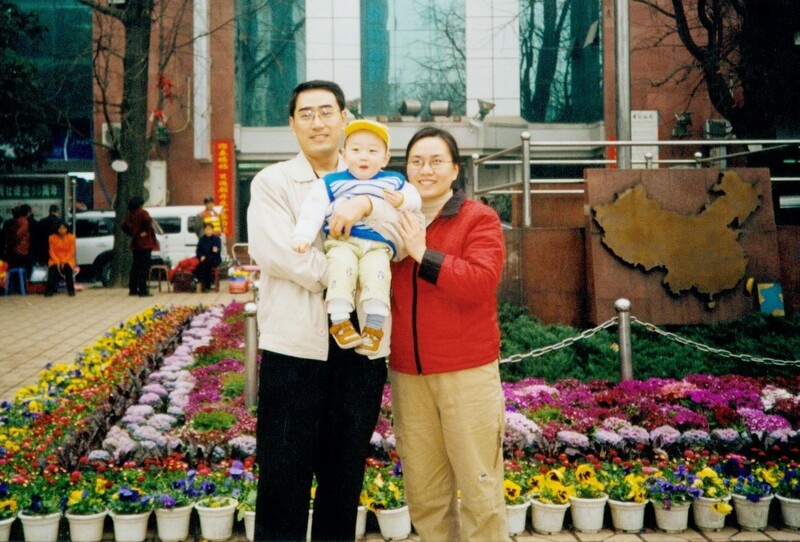 On July 31, 2004, Gao Dandi left home to escape persecution and his whereabouts are unknown as of today. On August 1, 2004, his family was informed by the "610 Office" that Gao Dandi had been abducted again. Gao Xueqi (childhood nickname Dongdong) is one and half years old. Since his mother, Chen Chunli, and his father, Gao Dandi, were abducted, his maternal grandparents were devastated both spiritually and physically, and their economic situation is not good and they are unable to raise the child. They had to send him to his paternal grandparents' home in Chongqing City. The former workplace of his grandparents is in bad shape financially, and they survive by relying on social insurance. Since their son and daughter-in-law were abducted, this old couple has been upset and their health is getting steadily worse and they have no energy to raise this poor child. Each time Dongdong asks about his father and mother, the paternal grandparents only have a tearful look and cannot tell him the truth. We urgently appeal to kind-hearted righteous people from all over the world to give your love to this young child! He is innocent! Because of his parents' belief in "Truthfulness, Compassion, Forbearance," their relatives and friends also suffer from the persecution of Falun Gong practitioners! They urgently need your support and help!